Head over to Coupaw to score a $20 Pet Glam Boutique voucher for only $10! To sweeten this deal, the voucher includes free shipping on your order. 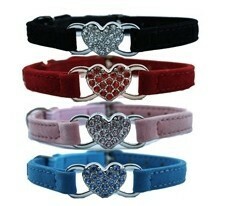 Pet Glam Boutique has tons of adorable pet accessories at great prices. For example, dog hair bows are only $1.25 and personalized collars are $6.